UNICO is not your typical destination beach property. It is extremely service oriented, from the minute you step foot into the resort, to being attended to by your personal butler, until your departure date. The Adult Only Hotel embraces the local culture, with not only its architecture and furnished designs, but as well as its food and crafted cocktails. From the minute you walk in, you know you have reached paradise. Last April, I was hired to design the wedding collections for UNICO. 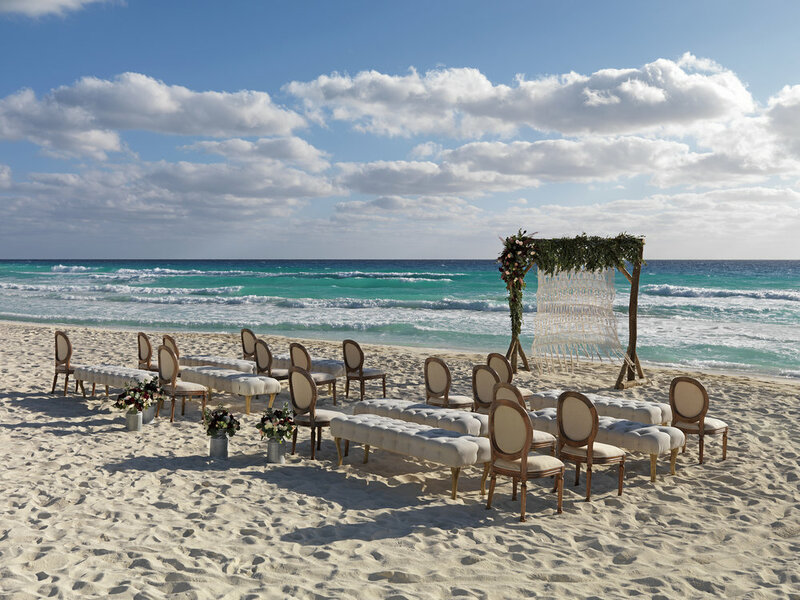 The idea behind the look and feel of these wedding collections were constructed with two concepts in mind – tying in the current wedding trends, as well as continuing the rustic, relaxed luxury feel, representing the brand and overall look of the resort. If you design for a living and are a control freak like I am, then you know of the sleepless nights I have gone through. Key words and concepts like “rustic but glamorous”, “boho chic”, and “relaxed luxury” danced throughout my brain, over and over again. I would construct 3-4 different concepts, wake up in the middle of the night and convince myself they weren’t the right choices and/or good enough, hence spending long hours until finally designing the ideal vision(s). Keep in mind, this was all done prior to seeing the hotel fully built and furnished and only having renderings to entice my inspiration. Aside from the design, each collection was built to ensure personalized touches for the couple. 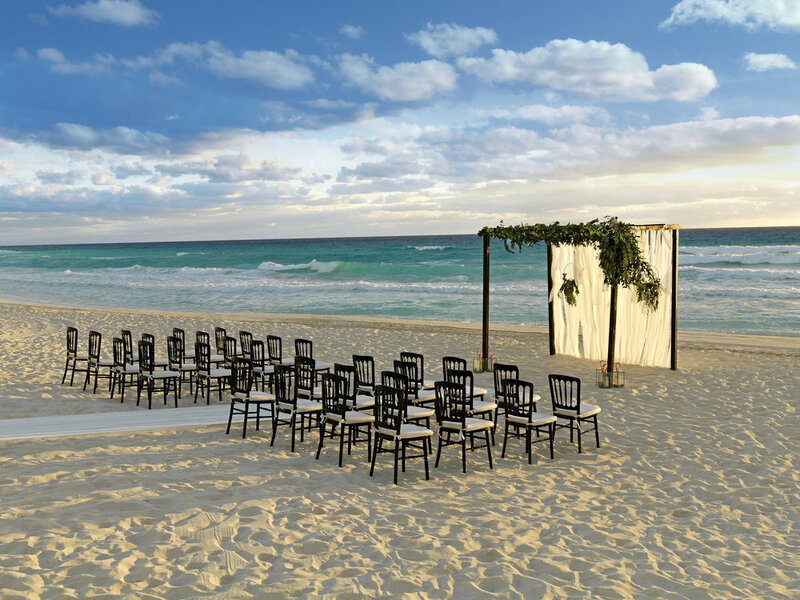 Whether it be a bridal concierge, hair & makeup artist or ensuring an unplugged wedding with a phone valet, UNICO’s experiential collections are built to exceed the couples’ expectations. Below are a few pictures of the wedding collections I’ve designed.